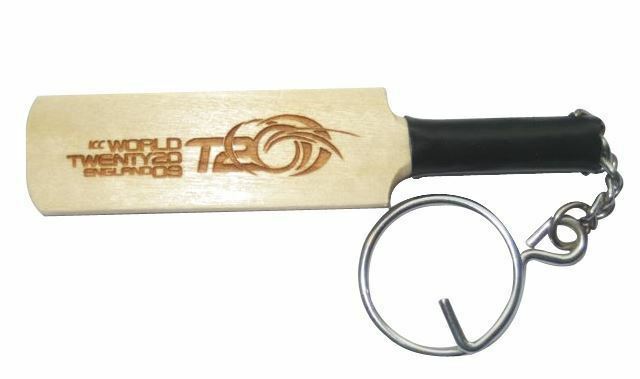 Mini Wooden Cricket Bat Keyring with metal keychain. Can be branded with a print, a sticker or engraving. 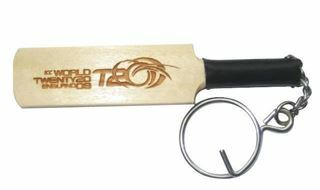 Cost effective cricket related promotional item. Size of bat is 5cm in length with a black grip.